In honor of the Air Max 2014 being released today, we'll take a look back at one of the most popular Air Max models ever. Today marks the official release of the Air Max 2014, Nike's latest and greatest visible Air runner. Since the first Air Max model in 1987 with its then revolutionary visible Air unit, the Air Max has been Nike's flagship cushioned runner for 27 years now - and gotten much more Air along the way. Never actually the best running shoe option for most people, over time the (sometimes overly) teched-out Air Max has become more important to sneaker collectors than the majority of core runners, who are probably more interested in models like the new Air Pegasus each year than the Air Max. With now almost 30 years of updates, the Air Max has inevitably seen a few duds along the way, but others like the the Air Max 1, Air Max 90, and the Air Max 95, have all become some of Nike's most popular shoes ever. 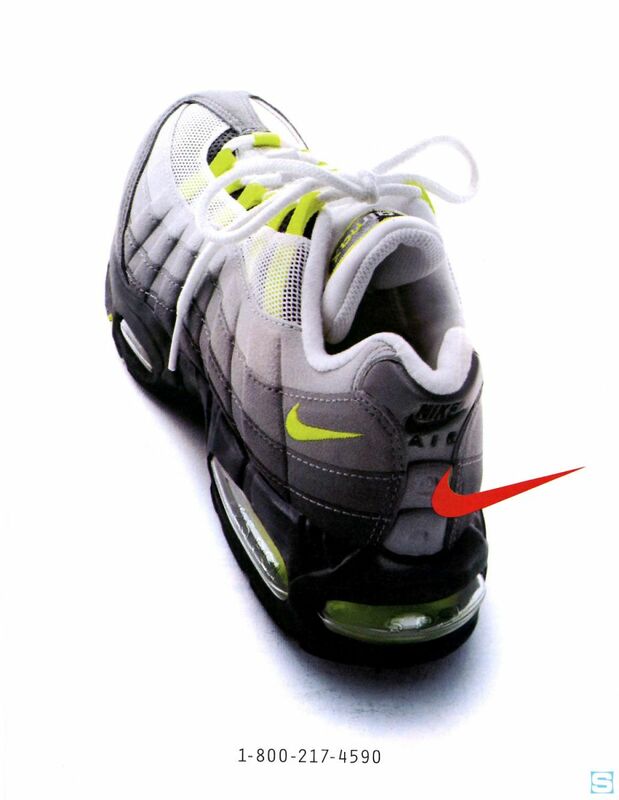 The Air Max 95, seen in its iconic "Neon" colorway in the ad below, was the first shoe to have visible Air in the forefoot. All these years later, it's still one of the brand's best sellers, recreated in countless new colorways and iterations almost every year.